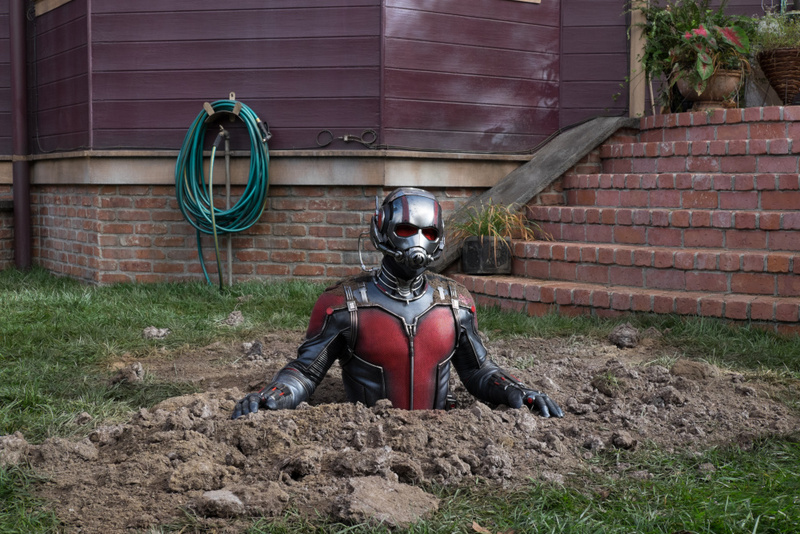 Marvel Studio's latest film, Ant-Man, hit theaters recently, ending their Phase 2 with a bang. A heist film at its core, Ant-Man delivered on all fronts, and has me yearning to go back to the theater to watch it again. Ant-Man tells the story of cat burglar Scott Lang who is given an amazing opportunity that will change his life forever. After swearing off a life of crime, he is pulled back for one more job, and is armed with a super-suit with the astonishing ability to shrink down to the size of an ant, while increasing his strength exponentially. He embraces his inner hero to help Dr. Hank Pym plan and pull of a heist that will save the world. 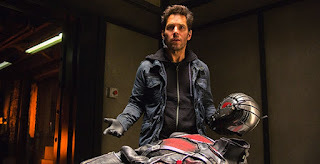 Director Peyton Reed (Yes Man, The Break-Up), who was brought in to replace Edgar Wright after his departure from the film, managed to take the very much unknown character of Ant-Man and integrate him into this vastness that is the Marvel Cinematic Universe in a smart and fun way. This film utilized the premise of a simple heist film and merged it beautifully into a world of superpowered being, the likes of Thor, Captain America, and The Hulk. Taking on the lead role of Scott Lang, a.k.a. 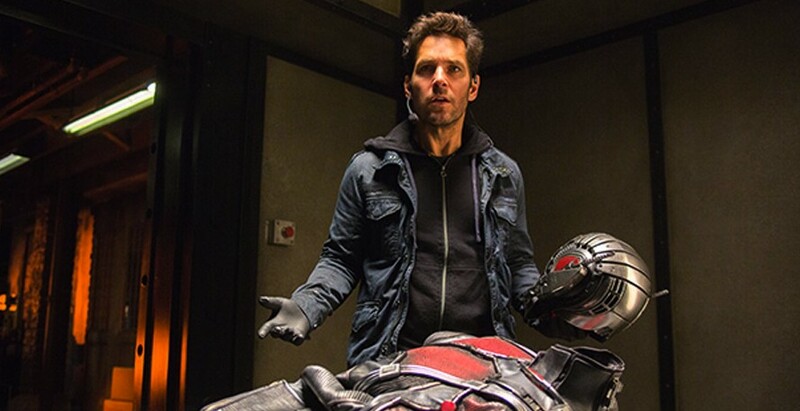 Ant-Man, was the very talented Paul Rudd. His sense of humor and comedic timing was a perfect fit for this film and for the MCU as a whole. When I first heard that Scott Lang was the Ant-Man that the studio was choosing to move forward with for this film, I was, to be honest, concerned. But then I heard who they had cast...Paul Rudd. Instantly, my concern turned to enthusiasm and anticipation. He is a great comedic actor and I was thrilled to see him get such a big role in a movie like this. 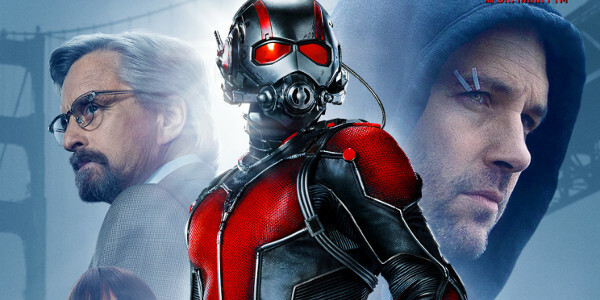 Joining him in this film, as the original Ant-Man, Hank Pym, was two-time Academy Award winner Michael Douglas, who was the perfect fit for this role. As Lang's mentor, Pym helps him to become the hero he knows Scott has the potential to be. 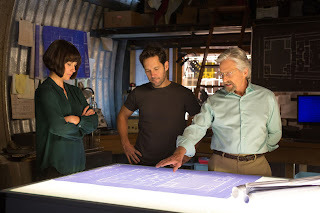 Scott is also helped by Pym's daughter, Hope, played by Evangeline Lilly. The chemistry between the three of them was wonderful. I really hope we get to see more of Michael Douglas in future films. Filling out the cast was Corey Stoll as Darren Cross/Yellowjacket, Judy Greer as Maggie Lang (Scott Lang's ex-wife), Michael Peña as Scott's friend and former cell mate Luis, and even a special appearance by the Falcon himself, Anthony Mackie. The film a lot of cool action, some awesome SFX, an interesting story, and plenty of humor to go around. The shrinking scenes were some of my favorite parts, and even though I haven't watched the film in 3D yet, I've heard that these scenes are amazing in that format. I was also surprised at how well the digital de-aging of Michael Douglas was done. It looked flawless to me. The scene with Falcon was a great surprise, even though the trailer does show that he's in the film. The banter between him and Scott was one of the highlights of this great film, but the shining member of the cast was Michael Peña, who stole every scene he was in with his hilarious dialogue and superb charisma. After talking about all the things I enjoyed about this great heist comedy, I find it necessary to also discuss the flaws in the film. One of the more noticeable flaws is the generic hero arc that is laid out in this origin story. Now, I'm not saying that this is a bad thing, however I would have preferred something a bit different and unique. But the biggest flaw is probably the weak use of the main villain in the film, Yellowjacket, which seems to be a persistent issue with many Marvel films. They're great with the heroes, but not so much with the villains, but hopefully Thanos will not fall into this pattern. Overall, I thoroughly enjoyed this film and would put it in my top 3 Marvel movies to date. If you haven't checked it out yet, make sure you do, and if you have, why not go see it again! And make sure to stick around for BOTH end credit scenes, which are equally awesome.